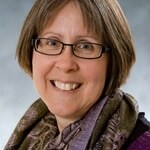 Northwestern biology prof Dr. Sara Sybesma Tolsma has been named this year’s recipient of the Northwestern Teaching Excellence Award. Dr. Byron Noordewier, professor of biology at Northwestern, is the recipient of the college’s 2015 Faculty Inspirational Service Award. 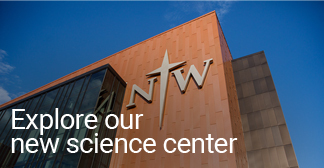 Northwestern College will offer two new majors—biochemistry and worship arts—beginning this fall. Ed Fallon, an environmental activist who is walking the Iowa stretch of the proposed Bakken oil pipeline, will speak at Northwestern on April 16. 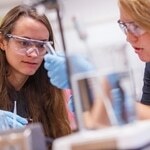 Several NWC professors and students will present research at the Iowa Academy of Science meeting in Iowa City. 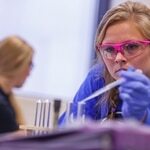 Beginning next fall, Northwestern College will offer a major in genetics, molecular biology and cellular biology. 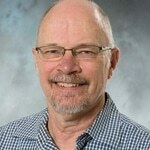 Biology prof Tyrone Genade will conduct research on the neurobiology of aging with a doctoral student from Italy.